Here while back, we bought my little helper a hammer of her own. She has rules that it has to stay in mommy’s tool bag until she is told she can pull it out. Unfortunately, we got her the hammer and she hasn’t had a chance to use it… Bummer! It’s almost like giving a kid candy and saying don’t eat it. To make the truffles, it said to smash up Ladyfinger cookies. They suggested using a food processor, but I had a little girl who wanted to help. 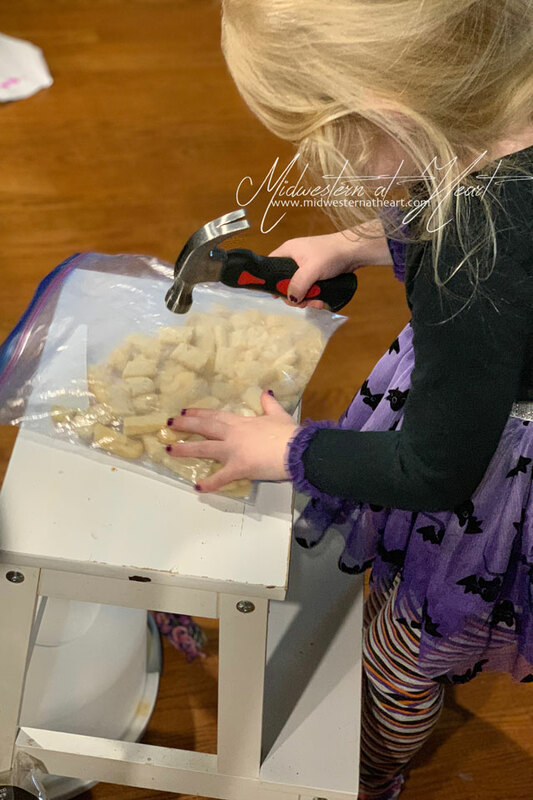 Initially, I gave her the Ladyfingers in a ziplock bag and told her to crush them. When she was having a little difficulty, I told her to go get her hammer. Bam, she finally got to use her hammer even if it wasn’t for the purpose a hammer is intended for. After the truffles were made, they sat in the refrigerator for a bit, then dipped them in chocolate. Mmmmm Chocolate! Initially, I started with candy melts but for some reason, they seized up immediately so I switched to melted milk chocolate. 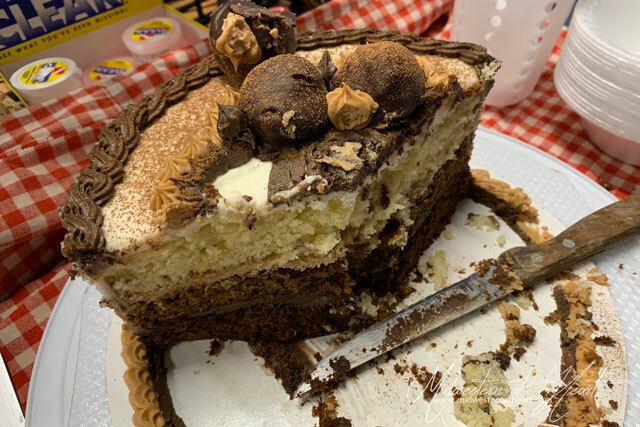 The next challenge to tackle was what cake do I want? I decided I wanted an ombre effect. I started out with Life Love & Sugar’s Vanilla Cake. The top layer I left vanilla. Then the middle layer I added espresso powder. 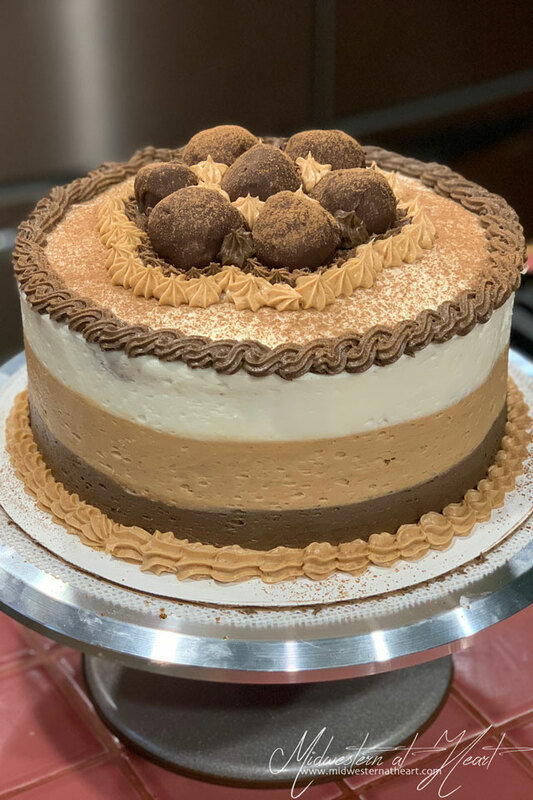 The final layer I added espresso powder and chocolate. That gives it that tiramisu effect! Tiramisu has coffee and chocolate and ladyfingers, oh my! I made a bit of an assembly line… sort of. I had the cake on the turntable. The coffee/espresso ready to douse on the cake layer. Then adding the buttercream. Yum! Normal Tiramisu has mascarpone cheese. I used what I had in the truffles, so I used cream cheese. So do you know the difference between cream cheese and mascarpone cheese? So first off mascarpone cheese is thought of as Italian cream cheese. It is also made with heavy cream instead of milk like cream cheese so it makes it creamier. btw, I’m not a huge fan of the word creamy or moist if we’re being fully honest. So my cream cheese icing I split into 3 bowls. I left one plain. One I added espresso and the third I added chocolate and espresso. My thought was to mimic the cakes. So between each layer, I used the icing that coordinated with that flavor layer of cake. Then it was time for the crumb coat. I have to tell you that my crumb coat layer looked more like I wanted the outside to than what my actual outside icing looked like. It happens sometimes. And just like that, it all came together. Now, I wanted my icing around the outside to smoosh more together, but it didn’t really happen. I got nice clean even lines. Then when I wound up with some icing left over, I went to make it pretty. I didn’t want to waste icing. That’s like a sin or something, right? And don’t worry, while most of this was eaten at dive club, I saved hubby a piece of his own birthday cake. At least I didn’t forget this birthday, right? I went to buy his birthday present and couldn’t decide which one to get him. Finally, I told him what I was going to get him. In the end, I got him something completely different that he picked out that he really wanted. Christmas is coming at least! For the Chocolate Tiramisu Truffles: Add all ingredients but chocolate chips to the food processor. If omitting the coffee liquor, add 1 additional tablespoon strong coffee. Note: When adding the strong coffee, make sure it doesn’t turn into butter consistency. You want it to feel like cookie dough batter so it’ll firm up in the refrigerator. Wrap in cling wrap and refrigerate 30 minutes to 1 hour. 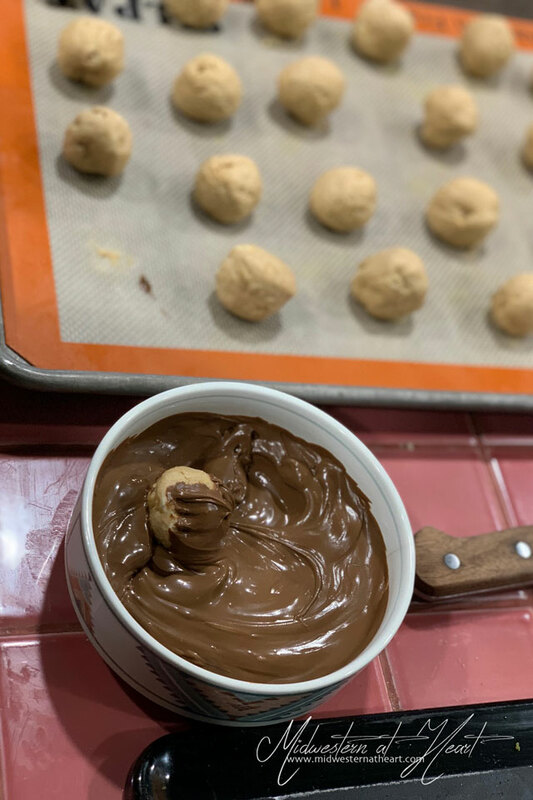 Using a spoon or cookie scoop, make truffles into balls. 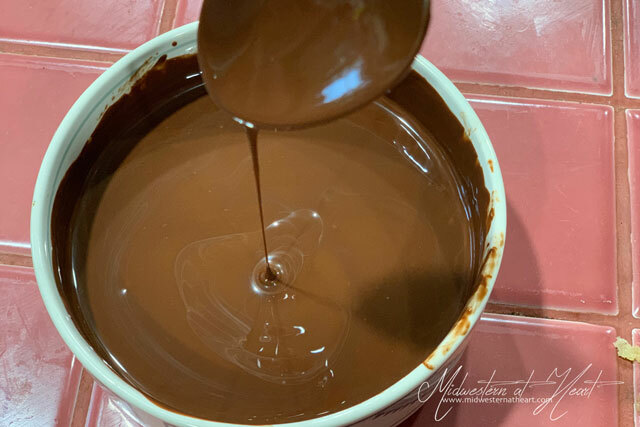 Melt chocolate in the microwave at 30-second intervals stirring between. Melt until smooth. Dip truffles into chocolate and place on parchment paper to set up. Optional: Top the truffles with additional crushed ladyfingers or cake batter pieces. Place in the refrigerator or freezer to fully set up while doing the rest of the cake. For the Cake: Preheat the oven to 350˚F. 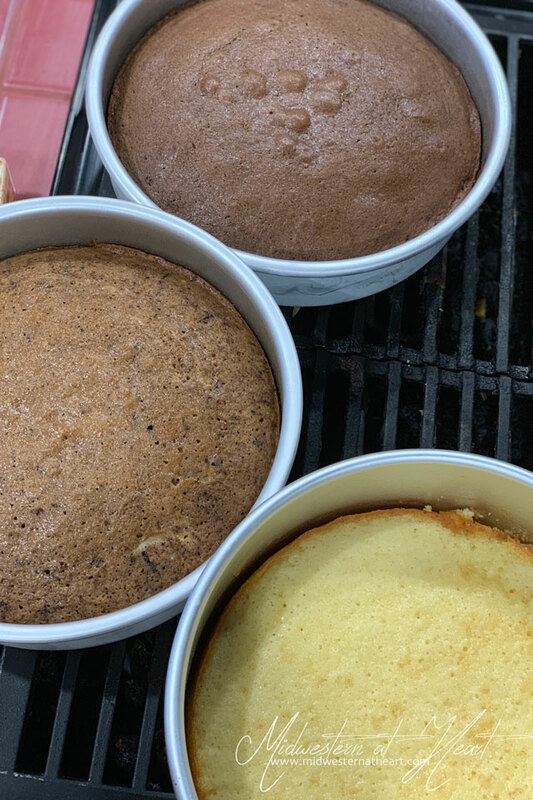 Line and grease 3 8″ cake tins with parchment paper and cooking spray (or butter/flour). In a medium bowl, combine the flour, baking powder, and salt, whisk and set aside. Add the butter, sugar, oil, and vanilla to the bowl of a stand mixer and beat together until light and fluffy and fully incorporated, about 3-4 minutes. Don’t skimp on this step. Add the eggs, one at a time, making sure to scrape the sides of the bowl as necessary. Add half the dry ingredients to the bowl, then add half the milk to the mixture, finally add the remaining dry ingredients. Make sure to fully incorporate each addition before adding the next. If the batter looks curdled at any step, just keep mixing. Now separate the batter into 3 equal parts. Leave one as the vanilla layer and place in one of the prepared pans. The second layer add 1 tablespoon espresso powder. Mix thoroughly and then place in the prepared pan. The last layer add 1 tablespoon espresso powder and cocoa powder. Mix thoroughly and place in the third prepared cake tin. Remove the cakes from the oven. Allow to cool 2-3 minutes, then remove from the cake tins to cool thoroughly. For the Coffee Syrup: Place sugar, espresso powder, and water into a saucepan. Bring to a simmer until the sugar has completely dissolved. Set aside to cool down to room temperature. For the Icing: Add the cream cheese and butter to a bowl, mix thoroughly. Add in the vanilla. Then add in the powdered sugar a cup at a time, making sure it is thoroughly mixed in. Use Milk to thin the batter to a spreadable consistency. Separate the icing into three bowls. Leave one normal. Place chocolate chips in a microwave-safe bowl. At 30 second intervals, melt in the microwave, stirring between intervals. Add to one bowl of the icing. Finally, add the 2 tablespoons dark cocoa powder to the third icing layer. 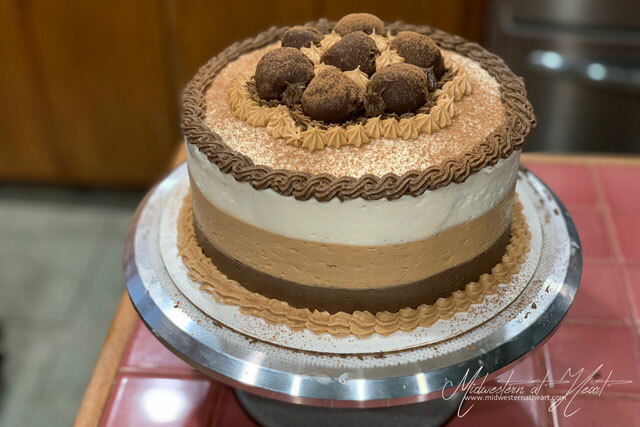 How to Assemble: Place the chocolate/coffee layer of the cake on the cake board. Cut off the dome top to make a flat surface. 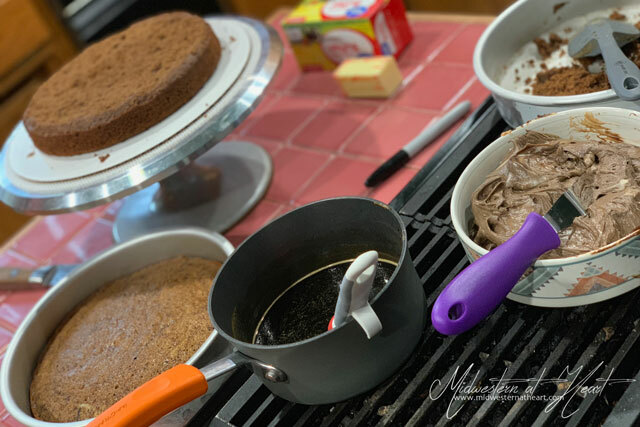 Using a brush, place the coffee syrup all over the top of the cake layer. Then add icing with the dark cocoa powder in a thin layer. 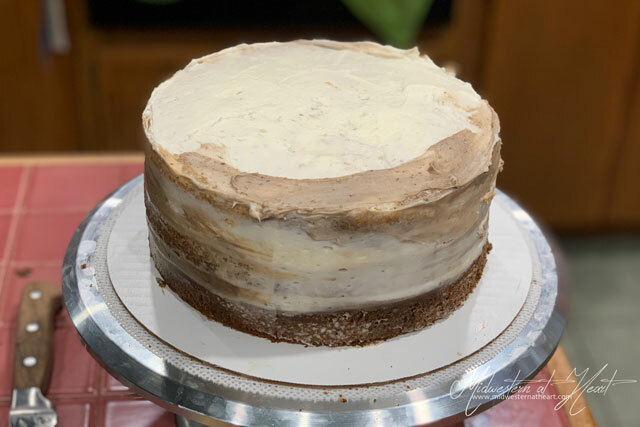 Next, add the coffee layer cake. Cut off the dome, add the coffee syrup. Add a layer of milk chocolate icing. Finally, place the Vanilla cake layer on top. Cut off the dome. Add the coffee syrup and a thin layer of cream cheese icing. Crumb coat and place in the refrigerator for 20-30 minutes to set up the crumb coat. Once out of the refrigerator, add the icing in layers around the outside of the cake. 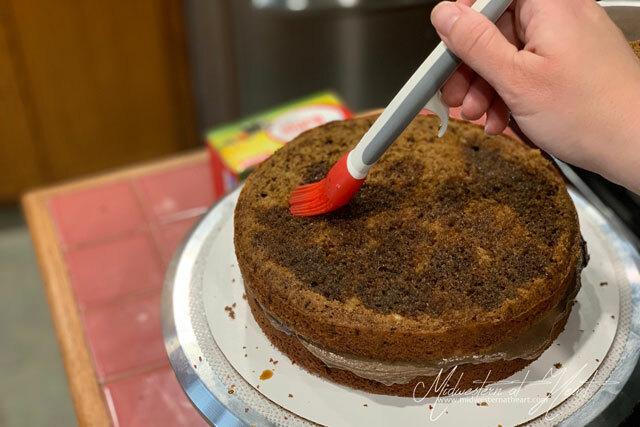 Using an offset spatula or bench scraper, smooth the icing around the cake. Next, make big mounds of icing on top of the cake. 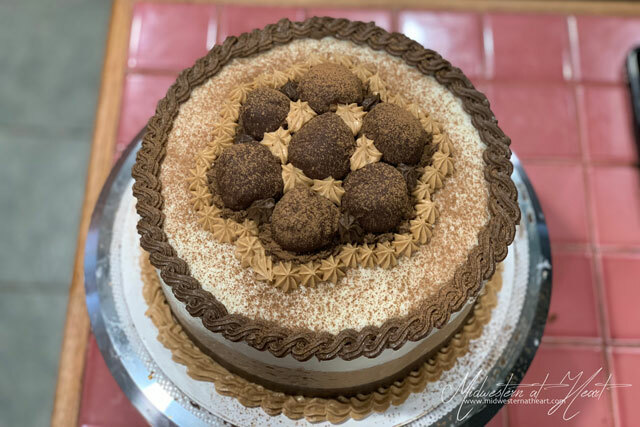 Place Chocolate Tiramisu Truffles on the mounds of icing. Using a star tip, pipe a rope around the bottom and top outside layer. Also, pipe around the Chocolate Tiramisu Truffles. Finally using a fine mesh strainer, dust with cocoa powder.